Local sources provide most of the food we eat. Primarily Mason/Dixon and DELMARVA area, but venturing further north and south for items not normally produced locally. Sources for produce, dairy, meat, eggs, fruit, wine and staples for the pantry. Atwater’s Catonsville MD is the nearest location to our home. Available at many local farmer’s markets. Year round in the DC area, they are at the Dupont Circle, Takoma Park and Silver Spring Markets. 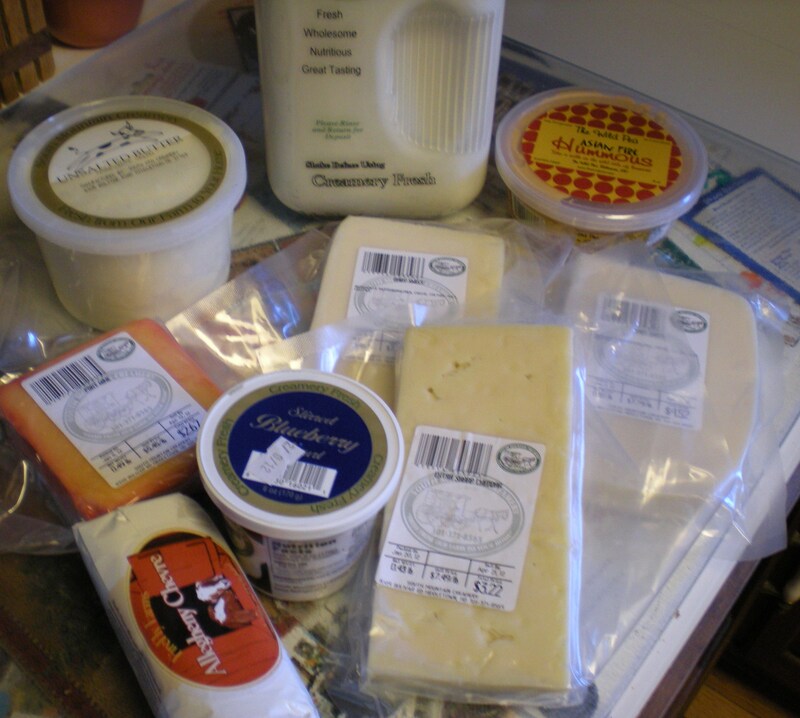 In their Catonsville shop, they also sell staples from local sources, like Trickling Springs Creamery. Besides bread, they sell their cookies and cakes, their ice cream, their jam and their soups. Available at Roots, Breezy Willow, Howard County Farmer’s Markets and at the store at the Bakery in Oella, just across the Howard county line. They also sell at 11 farmer’s markets in the general area around Baltimore. Spring Mill Bread Bethesda MD and other new locations in Montgomery County and beyond. I discovered them at England Acres farm, but they no longer sell there. We love their Honey Whole Wheat. If you live in Montgomery County, seek them out. They just opened a store in Arlington VA, and not long ago, in Wayne PA.
Great Harvest Columbia MD I buy Great Harvest Bread at the Howard County Farmers Markets in Spring, Summer and Fall. Store is located north of the Center Park Giant in Long Reach, just off Rte. 100. The store also makes sandwiches and has soup on sale too. I stop there often to get specialty breads like their honey lavender. Stone House Bakery The bakery is in Taneytown, but the truck comes to most of the Howard County Farmers Markets. I like their rustic Italian loaf. And, when they have it, their rye bread. Canela Bakery Gaithersburg. I buy their breads at Boarmans Market in Highland. They also sell at the Olney Farmers Market, and two other markets in Montgomery County. Available as well in Roots and MOM’s. Available at Baugher’s Market Westminster; Local cornmeal and buckwheat flours. Until I discovered Union Mills, it was the closest source of buckwheat and corn meal. Spelt flour from PA. Spelt is grown in Pennsylvania, one of the few grains grown in this region. Many breads baked locally use flours from the midwest, the south, and from as far away as North Dakota. For the challenge, finding local flour meant using spelt. I can no longer find their spelt at their online site, but I hear they often have it at the visitor’s center. Whole Wheat, Rye, Cornmeal – milled at the Homestead. An email sent to them resulted in their response that the source of all but the whole wheat was local MD and PA farms. The whole wheat came from somewhere in PA, but they were not 100% sure of the source of all of the wheat they acquired from PA. Available when the mill is open. Daisy Flour Lancaster PA Daisy GMO free flours are available in a large number of local retailers, as well as from numerous CSAs in the area. I get mine from my Lancaster Farm Fresh CSA, by ordering from the online store. They sell spelt flour, too. Lancaster Farm Fresh Coop In 2014, Sandy Spring CSA was disbanded. My small Columbia based pick up site registers directly with the cooperative. Lancaster Farm Fresh includes a buying club to buy all sorts of organic products ordering on line and picking up at your weekly CSA site. They offer three sizes of produce boxes, small, medium and large. Four, eight, or twelve produce varieties weekly. They also offer meat, chicken, eggs, herbs, fruit, bread, cheese and dairy. Priced separately, so you can build an option that suits your eating habits. Breezy Willow Farm We were members of the Early Bird CSA at Breezy Willow running from March through May. 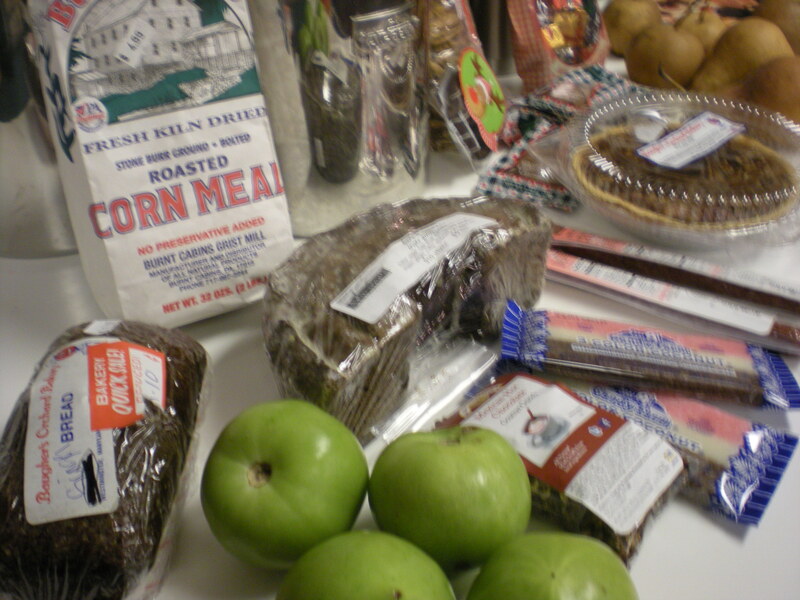 It includes items from farms on the east coast. A great way to support farmers while still finding good citrus and fruit during the lean months. We loved the organic foods. They offer a mix that includes eggs, bread, produce, fruit and pantry items in the standard share. They now offer a share without bread and eggs, and this summer, will be offering home delivery. Their summer/fall CSA season begins in June. The Zahradka Farm Baltimore County family farm with CSA sites in Howard County. Their winter CSA is delivered to your doorstep. Summer and Fall CSA pick up points are varied. Small, medium and large shares. Customizable. Go online and choose your produce. Gorman’s Farm Just south of King’s Contrivance, here since 2009. Excellent source of organically raised produce. With a CSA that has loyal followers. Small and large shares available. The farm stand is no longer open. They only supply CSA members with their locally grown produce. Strawberries and melons are the only fruit in their shares. No outside produce. Love Dove Farm Have not seen current information for 2017 yet. They have been changing their model, from what I understand. TLV Tree Farm Pick up out at the farm in Glenelg MD on Thursdays. Twenty-two week season, June through October. Large and small shares. Complimentary herb and flower cuttings on site on pick up day. They now offer a chicken share, meat share and an egg share. Variable amounts and number of pickups. Quite flexible. Farmer’s Markets These are the year round farmer’s markets in the Howard County vicinity. Carroll Farm to Table Corner of Manor Lane and Rte144. Check web site. Amish Markets I have frequented these markets for years on our way to our inlaws. The Dutch Market in Burtonsville where we used to shop closed a while back and relocated to Laurel, a little outside of our normal travel area. These markets are the ones we now visit when on trips up to our family in PA, and are open year round. Baugher’s Orchards and Farm Westminster MD Bought at the source. Apples, miscellaneous produce, peaches, strawberries, honey, black walnuts, ice cream, plus their farm store sells other local products. Also the source for many of my herb seedlings, and where I buy McCutcheon’s products. Quaker Valley PA Bought at the Silver Spring Market. Apples, tomato sauce, apple sauce. Butler’s Orchard Germantown MD. Pick your own fruits and vegetables on the farm and a large farm store. Homemade pies that are wonderful. Larriland Farms Lisbon MD. Pick Your Own, open seasonally. Good source for tomatoes in the summer. Small farm store as well. They are open from late May until late October. Our House Farm Brookeville MD Silver Spring Market. Microgreens, spinach, greens, onions. Only a vendor in Silver Spring until Christmas, then returning in spring. They offer an interesting CSA option for those who live near Silver Spring. Buy into the CSA, receive a credit and pick up what you want in the quantity you want at the Saturday market. No worries about missing a weekly basket. Mock’s Greenhouse Berkeley Springs WV Bought at Silver Spring Market, and at Frederick Wegman’s. Bibb lettuce, heirloom cherry tomatoes. Basil, cilantro. Greens. All grown year round in high tunnels. Breezy Willow Farm Store West Friendship MD Bought at the Farmstand. During the summer, the Glenwood Farmer’s Market is the location we go to purchase their breads, corn, fruit and herbal products to augment what we get in our CSA. From March through May 2013 we were members of the Early Bird CSA. They sell many local artisanal items like Neat Nick Preserves, Zeke’s Coffee, Michele’s Granola, Farm Boy Pickles, Trickling Springs Ice Cream and Salazon Chocolate. McCutcheon’s Frederick MD Bought at various locations including Breezy Willow, and Baugher’s. McCutcheon’s store is located in downtown Frederick. Fun to visit. South Mountain Creamery Middletown MD. Bought at the Creamery during the winter. Milk, yogurt, freshly made mozzarella, meat products, cheeses, ice cream, and much more. Has home delivery. Stopped attending the Glenwood market. Trickling Springs Chambersburg, PA Bought at The Common Market and David’s. Also available at Roots, Atwater’s, England Acres and MOM’s. Ice Cream, butter, milk, cream. Natural by Nature Avondale PA Bought at the Common Market. Milk and butter. Bowling Green Farm Howard county MD Bought at Breezy Willow and at Frank’s Produce in Jessup. Also available at TLV Tree Farm. Cow’s milk cheeses and spreads, flavored and plain. Now selling butter. Great feta. Firefly Farm Western MD Bought at South Mountain and Dupont Circle. Goat cheeses. Available at Whole Foods and MOM’s. Shepherds Manor Creamery Westminster. Available at many markets, wineries and at Friends and Farms warehouse. Sheep’s milk cheeses. Bought at Dupont Circle Market. All sorts of sausages, jerkies, small packages of charcuterie. His sources here. Bought at Silver Spring Market. Bison osso buco. Ribs. Ground. Chili. Not cheap, but very good. Carroll Farm to Table Ellicott City MD Stand open Wednesdays, Fridays, Saturdays and Sundays. They sell heritage pork, Angus beef and pastured chicken. Locally sourced from the markets and the farm. Lamb, Pork and Beef. Also sell eggs. England Acres Mt Airy. Farm market open almost all year round on Fridays and Saturdays. Meat, eggs, Trickling Springs dairy, Pequea Valley yogurt. Seasonal produce from local farms. In the winter, they do limit their hours. Wagon Wheel Ranch Mt. Airy MD Beef, Lamb, Goats, Pork and Poultry. Sometimes there are eggs. Wagon Wheel is a local supplier to the Columbia Whole Foods Market. You can buy whole, half or quarter shares of pork or beef. Whole or half lamb. Bought at Silver Spring, also sell at Tacoma Park. Chicken, pork, turkey, beef and lamb. Bought at Silver Spring. Great pork products, including hard to find items like fresh pork belly. Wagner’s Mt. Airy MD Butcher and processor for meats, has a storefront as well as the processing plant. 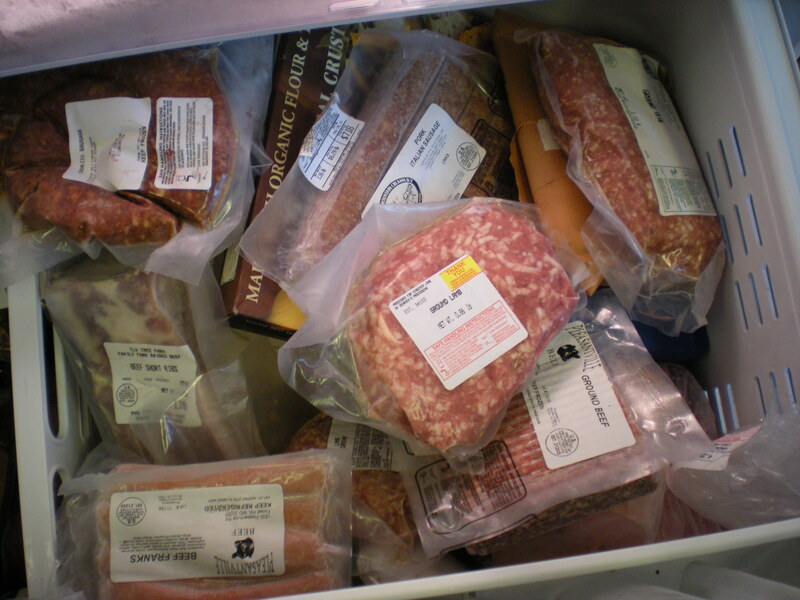 Buy individual items, or order packaged sides of beef or pork or lamb. Large beautiful site. Some Italian varietals like Nebbiolo. Cellar Club gets you wines not available to the general public. Great festivals, like the Crawfish one. Dog Days, which is fun if you have dogs. Vertical tastings, and special meals. Our favorite MidAtlantic vineyard. Been collecting for twenty years. Some of the oldest wines here are still lovely. Need to become a case club member to use the members only areas of the vineyard. Small, 5000 cases. Almost all wine sold at the winery, much of it to the case club members. In essence, a cult winery on the East Coast. Strong loyal following. Makes reds and whites that hold for a very long time. Whites in Burgundian style. Reds in Bordeaux style. One of the first places we visited years ago when gaining interest in local wines. They make lovely Chardonnays and decent reds. More of a destination winery with festivals, food events, and in a beautiful area of Baltimore County. Jeff learned from Linden. He is making stellar reds, winning the Virginia Governor’s Cup with his Bordeaux blend. His sauvignon blanc is reminiscent of the wines of New Zealand. He is expanding his plantings. His farm is on an amazingly beautiful hillside below the Skyline Drive in Front Royal. Big Cork Vineyards Rohrersville MD Tasting room opened January 31st. Will be open Thursdays through Mondays for tastings and special events. occasions. Whites are estate grown. The first reds are produced from grapes grown by surrounding farms. Old Westminster A fairly new local winery. Now, probably the closest to us. And, one of the best out there. They are opening their new tasting room in November 2015. Check them out. Local Black Walnuts from their property, found at Baugher’s Farm Stand, Westminster MD The only commercial place I have found so far where you can get black walnuts. They are stronger in taste than English walnuts. Local Maple Syrup from Steyer Brothers, Garrett County MD, found at Baugher’s Farm Stand. Closest produced syrup I could find to us. Most of the local ones are from north central PA.
Hydroponic Tomatoes from Hummingbird Farms Ridgely MD Bought all over the area, including grocery stores in winter. Mostly found at Roots. This is the closest source of year round tomatoes that actually taste like tomatoes in February. The cherry tomatoes are great for salads, and for roasting to use in small batch sauces in the winter. Suzanne’s Pepper Jellies Glenwood MD Heaven, Purgatory and Hell. The three strengths of jelly. Found at Casual Gourmet in Glenwood. She also makes, and sells on line, one using ghost peppers. Way too intense for my palate. I see on her page you may find the jelly at David’s Natural Market, Roots, and Harris Teeter. I love that you have a page dedicated to “local resources.” Thank you for the inspiration. I will work on one for my blog. What’s your honest opinion/experience with Zahradka Farm? Ours has been one of great frustration. Zahradka Farm is not communicative and the produce for the Winter CSA is not that good. Can’t wait for Breezy Willow’s Summer/Fall CSA to start. I have posted pictures every week of my produce. It’s been fine. One or two sweet potatoes were a little gnarly, mainly because of excessive moisture in the ground, I suppose. For winter root veggies, they have been fairly decent. As for communication, other than the week the owner of the farm, George, was in shock trauma after his accident, they have always answered my emails. For a small farm, the only one gutsy enough to offer a winter CSA with home delivery and on line ordering, they are doing a good job. I buy produce from them all the time at Glenwood. Just like I buy RJ’s produce from Breezy Willow. As for variety, I love my summer CSA from Sandy Spring. Huge variety, less expensive than Breezy Willow. I am glad we all have choices to find a good fit. Definitely a different experience. Oh well. Thanks for your list of locals we’ll be sure to check them out. I think they are trying with a small farm and not many workers. I have been happy with the food. We love the meat and eggs as well. And I commend them for the home delivery. Thankfully, we had no snow. I really appreciate the new young farmers around here. It isn’t an easy life. What a fantastic local source list, thank you! I’ve been wondering about local flour and now you’ve done the work for me. Just discovered your blog – thank you! I am also a Howard County native, now raising my own 3 and 5 year olds in Columbia, and am being more committed to eat responsibly, locally, on a budget. Your blog is an inspiration. It is a small world out here. One of my fellow eat local bloggers, The Soffrito, lives less than 10 miles up the road from me. We meet at farmers markets, and will probably have coffee this weekend at Second Sunday in Ellicott City. Foursquare also allows for tips. You can (back at home and on your computer vs on a smart phone) add tips to venues. And in your tips you can, I believe, link back to your blog posts on certain places. Anyway, if foursquare strikes your curiosity, give it a look. I’m happy to provide some tips and pointers if you go in this direction.